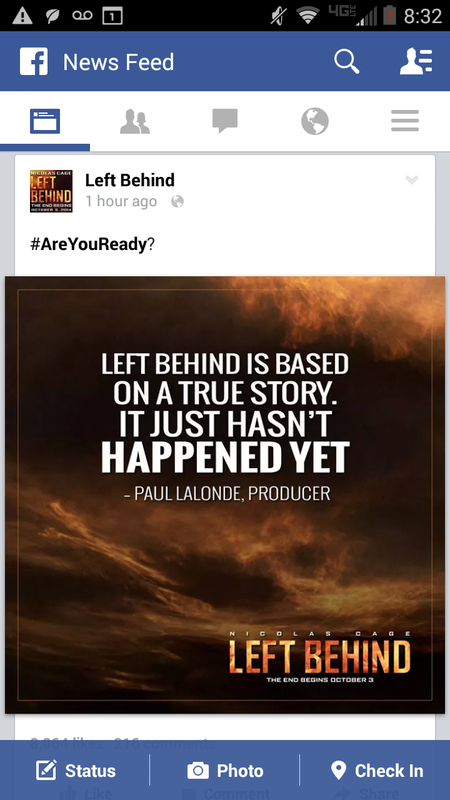 The Left Behind movie boasts a very interesting backhanded endorsement. 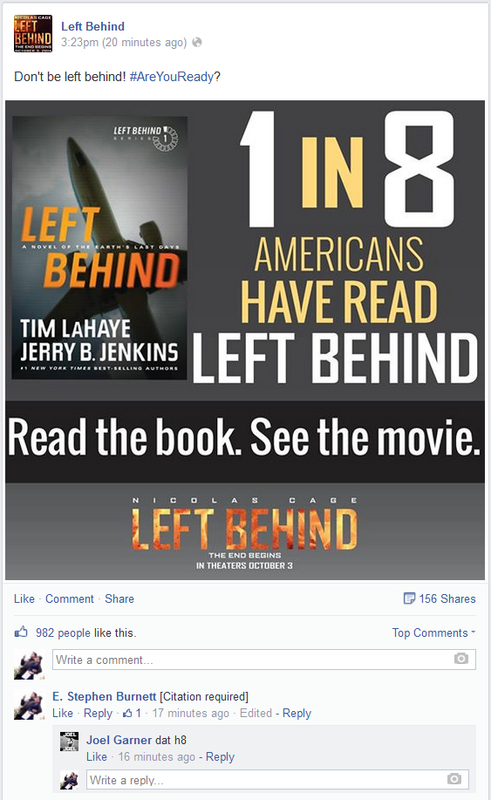 The Left Behind Facebook page has provided some very interesting marketing for the motion picture that releases Oct. 3. 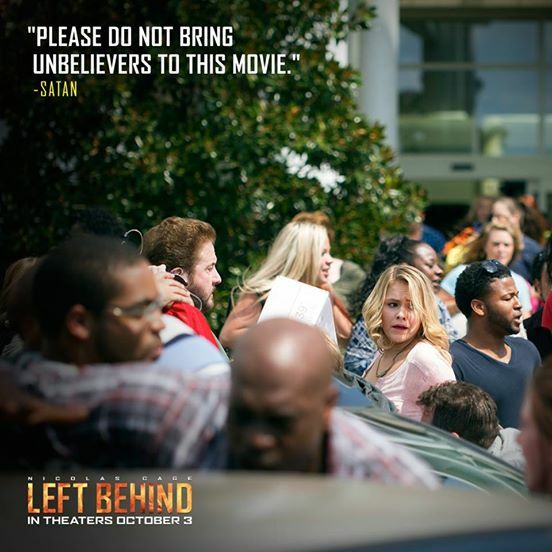 Rebuking (or “binding”) Satan is odd. As John MacArthur points out, how do you know Satan is even listening? Actually doesn’t the previous existence of the scenario in fictional form nullify that potential alternate timeline? 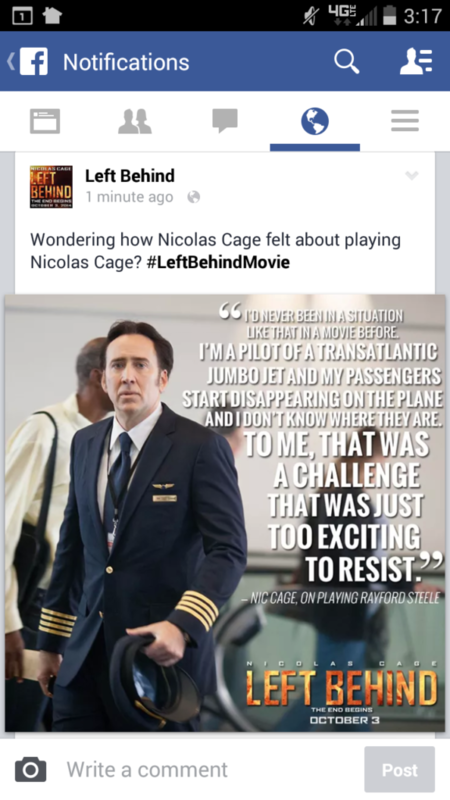 Nicolas Cage knew it was coming. 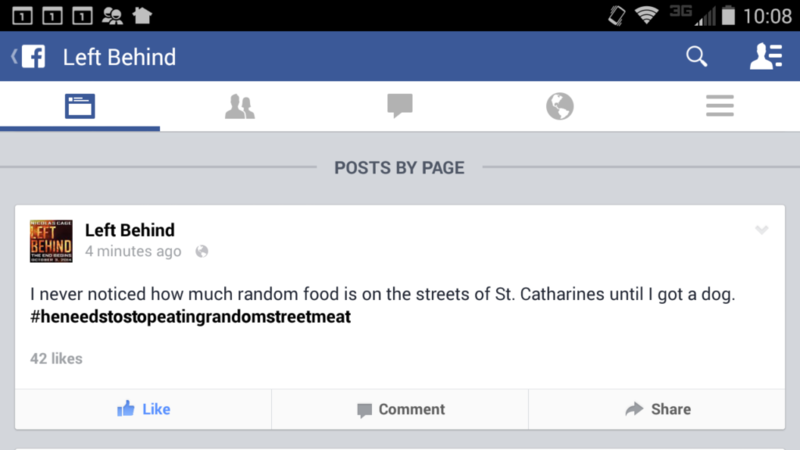 They tried all the tactics on social media, but unfortunately it did not work. 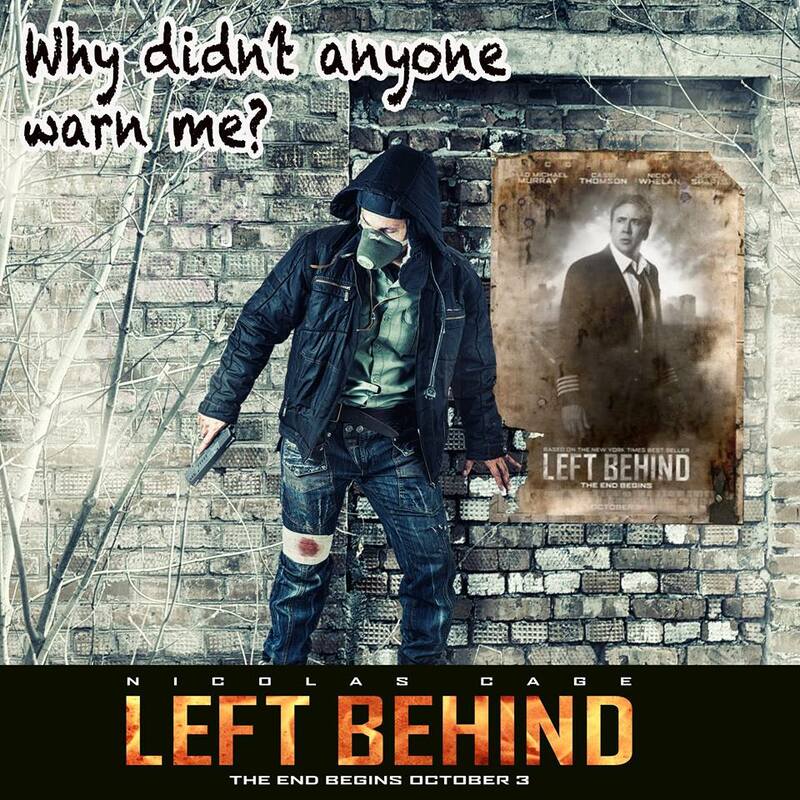 “Left Behind” looks promising from its trailer, and brings a little curiosity too, but the film was a disappointment. However, Nicolas Cage performance is good and connects well, and Cassi Thomson has played her important role well, she did a fair job to the character. Promotional strategies affect movies a lot, but filmmakers can’t fool audience like this. Not every film is epic, but it should be engaging till the end.